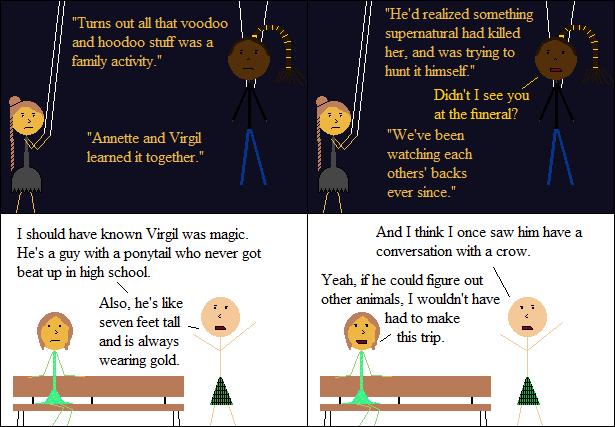 Inspired By True Events - I don’t know why Virgil was talking to a crow, but I do know that crows are intelligent birds with a lot of interesting things to say. I don’t know why Virgil was talking to a crow, but I do know that crows are intelligent birds with a lot of interesting things to say. Virgil has a Look, imaginary readers. He’s never really deviated from it.